It use to be said, if you want something done right, you got to do it yourself. …if you want something done right, get the right person to do it right. 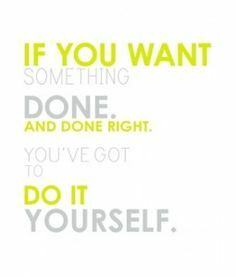 If you want something done your way, do it yourself or get someone to do it your way.